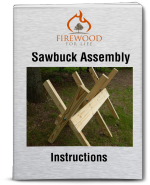 These firewood rack plans are created for someone who is looking for a nice firewood storage rack that's both functional and affordable. A firewood storage rack is a great way to properly store firewood near your home, eliminating the need for several trips back and forth to your wood shed. A properly designed storage rack should keep the wood off the ground and be sturdy, allowing you to safely stack the wood onto the rack. 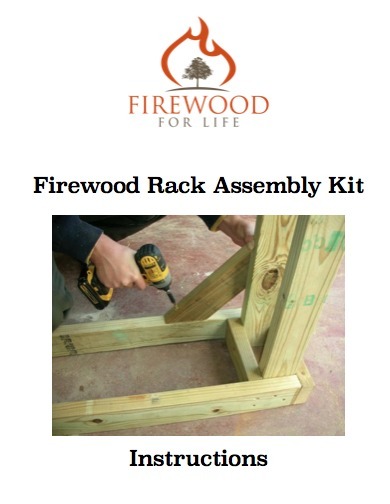 If you have a few basic tools and a couple of treated 2x4's, you can build your own firewood rack for about $30 or less. A similar metal rack from your local retailer would cost $60 or more. The rack I built was assembled from a few left over 2x4's I had from a recent project. The rack only took about an hour to build and it turned out really nice. 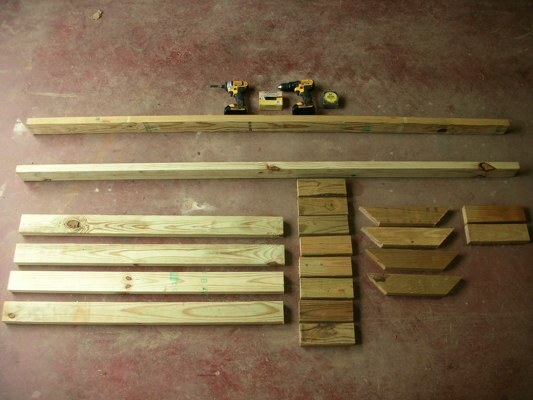 These are the supplies used in the construction of the firewood rack. All of the wood used for this project was treated because the rack will be placed outdoors and be exposed to the elements. 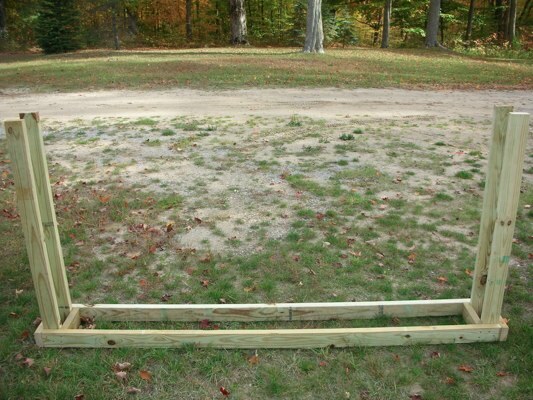 Start off by laying the two 8 foot 2x4's parallel to each other on a flat surface. I spaced my 2x4's 12 inches apart. 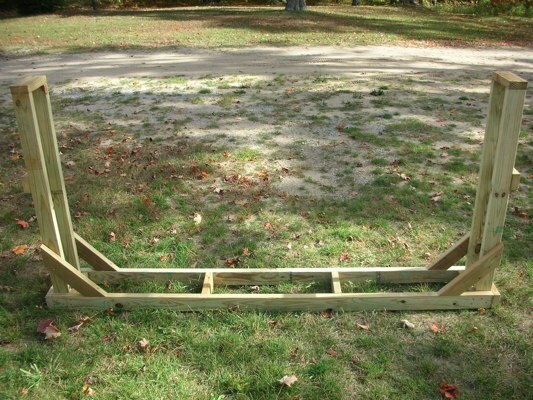 Next, take the two 12'' long 2x4's and screw them into the ends of the parallel 2x4's you have on the ground. I used 3 1/2'' outdoor screws to secure the wood. Repeat this process on the other end. 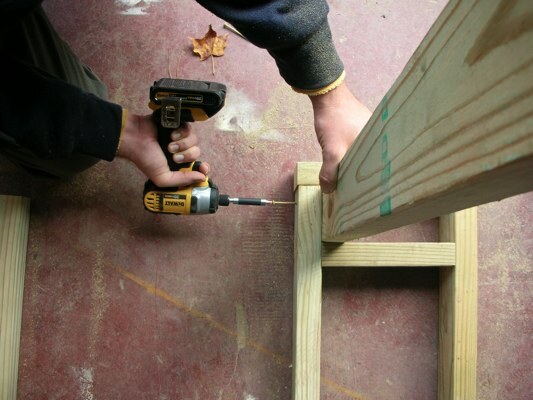 Take a 8 3/4'' 2x4 and screw it 3 1/2 inches inside the end board. This will create a pocket for the upright to fit into, strengthening the upright. You can also use the 4' upright as a spacer. 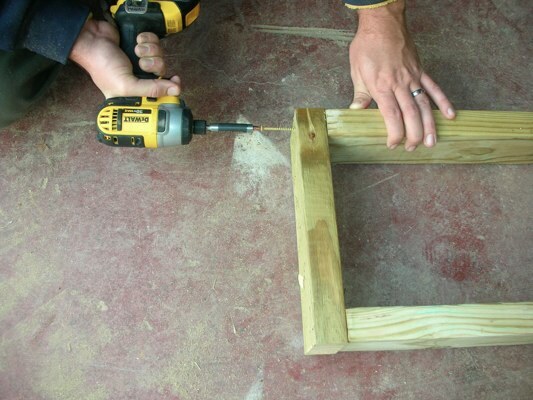 Use 3 1/2'' screws to fasten to wood. Repeat this process on the other end. 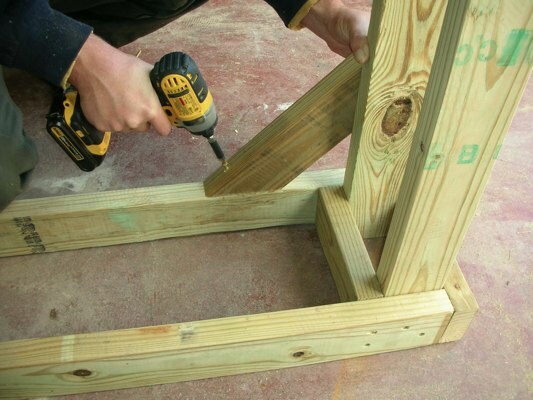 Next, secure the 4' long 2x4's in the pocket you just built. Each vertical 4' long 2x4 will serve as the uprights for the firewood to be stacked against. Repeat this process for all 4 vertical uprights. This is what the firewood rack should look like at this point. 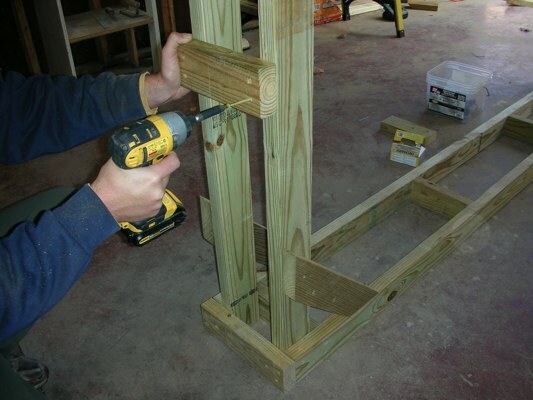 Now, attach the 17 1/2'' long 2x4's cut on a 45 degree angle at both ends. These will serve as a brace for the vertical uprights. 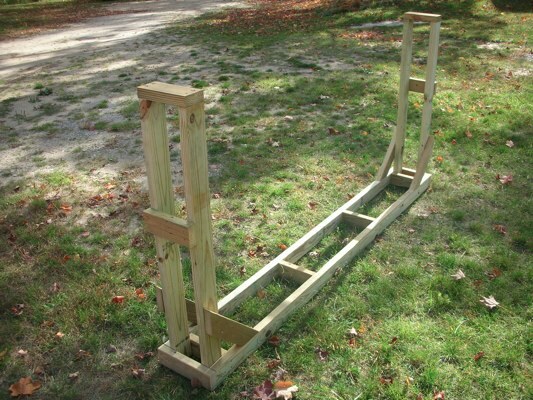 Want to make building a firewood rack even easier? This brace will help prevent the vertical uprights from becoming loose or bowing out under the weight of the firewood. Attach one brace to each vertical upright. 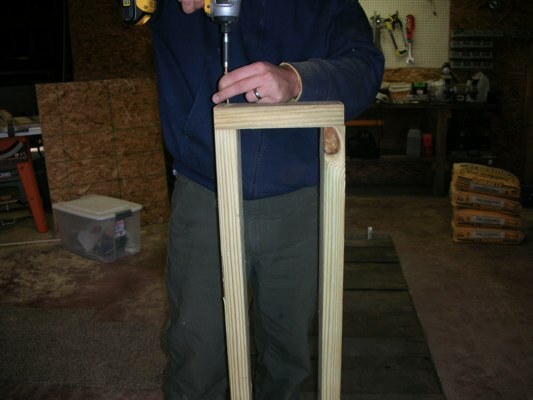 Next, take two 9'' long 2x4's and attach them to the tops of the vertical uprights, creating a cap. Do this on both ends. 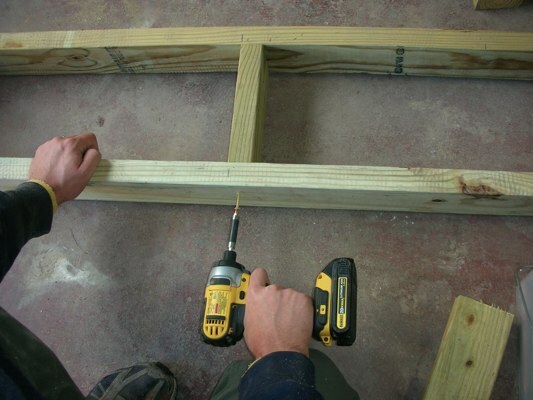 Attach two equally spaced 8 3/4'' 2x4's between the parallel 8' bottom boards. These will serve as support to keep the 8' boards parallel to each other. 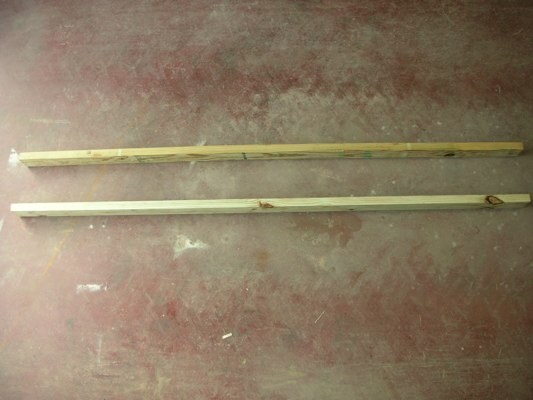 Finally, take the two remaining 9'' long 2x4's and attach them to the ends of the wood rack, 24'' up from the bottom. These will serve as supports, but they also double as handles to help move the rack. That's it, your done! Your completed homemade firewood storage rack should look like this. The completed firewood storage rack measures 8' long and 4' tall. The rack is light enough for two people to easily carry and the design gives the rack incredible strength. 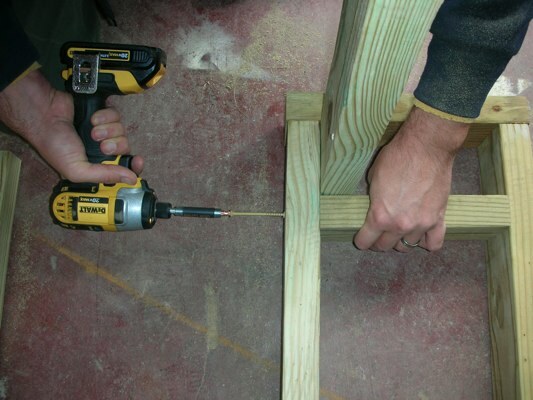 The treated 2x4's cost around $15 total and roughly another $15 for the outdoor screws. 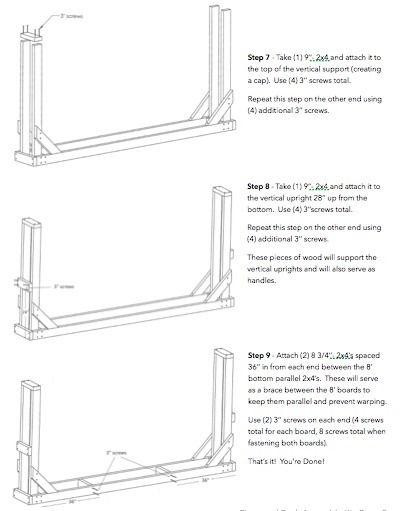 I hope you find these firewood rack plans useful. This rack allows me to store my firewood close to my house, saving time and energy.